Jekyll & Hyde is an online video slot with 5 reels and 25 paylines and is powered by Ash Gaming. 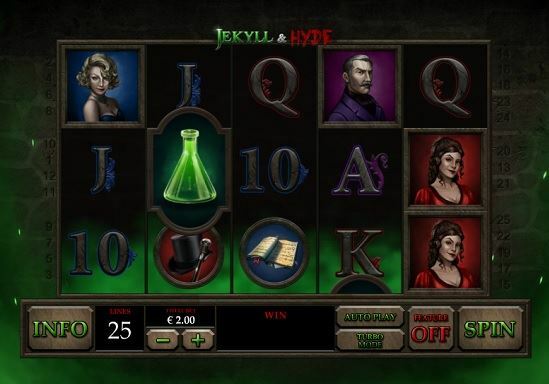 Jekyll & Hyde is a simple Video Slot to learn, and it will take you only a few spins to get into the game. You win from left to right, every time you hit three symbols of a kind or more on the reels, regardless of where they stop vertically. Look for the Wild and the two different Scatters. You have a nice Free Spins mode to enter and win loads of cash in!